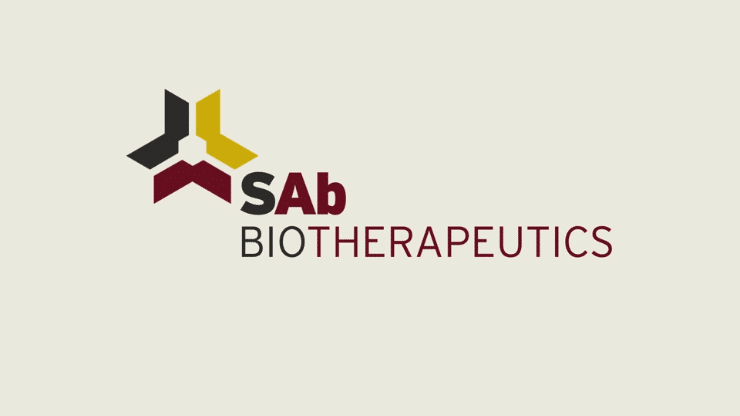 SAB Biotherapeutics is a biopharmaceutical company delivering the world’s first large scale platform to create fully human polyclonal antibodies. 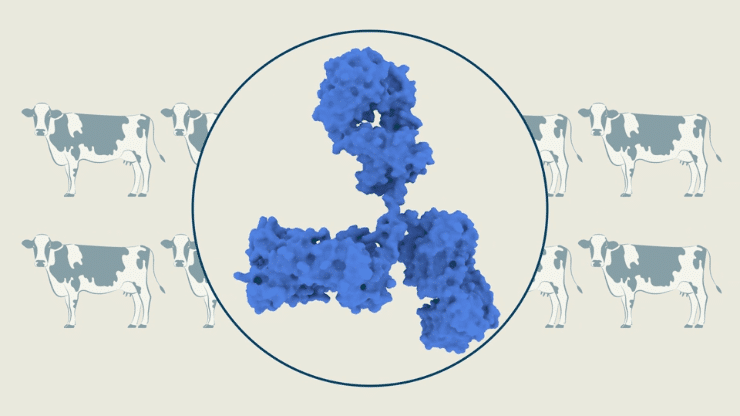 At the time of this production the industry hasn’t caught up with the value of polyclonal antibodies from the sense that this is the most normal way in which our bodies fight disease, in addition to the fact that polyclonal antibodies have other properties that are not mimicked by monoclonal antibodies or monoclonal antibody cocktails. 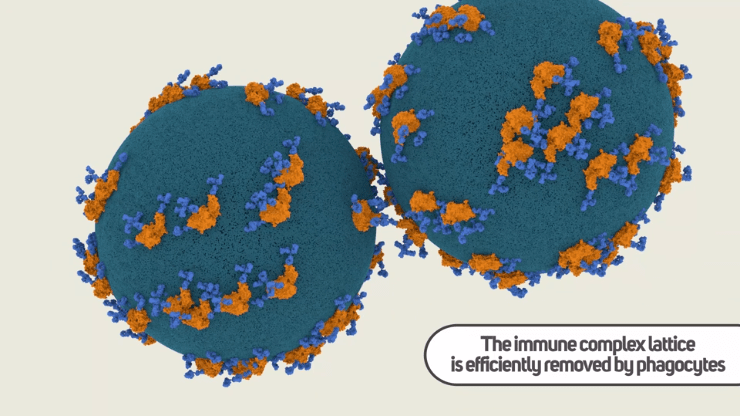 Biotech Animated was commissioned to create an educational video presentation designed to be displayed on the homepage of SAb Biotherapeutics. 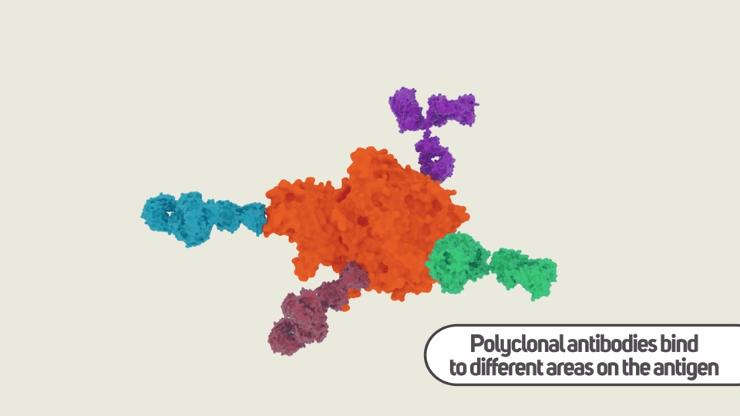 The video explains the advantages that polycolonal antibodies have over monoclonal antibodies. 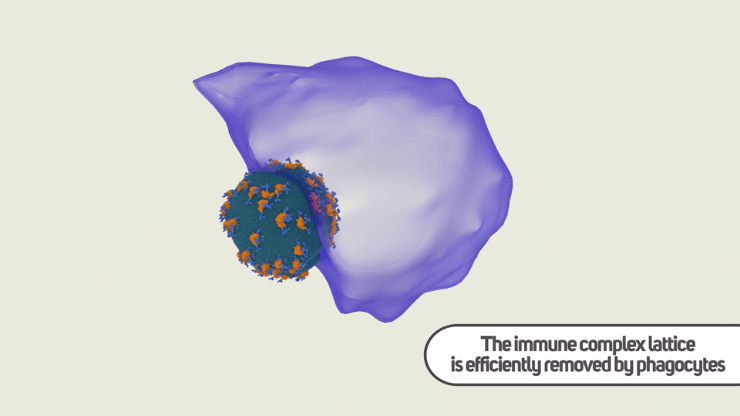 For example, fully human antibodies can be more effective, last longer, have fewer side and provide immediate protection or passive immunity. 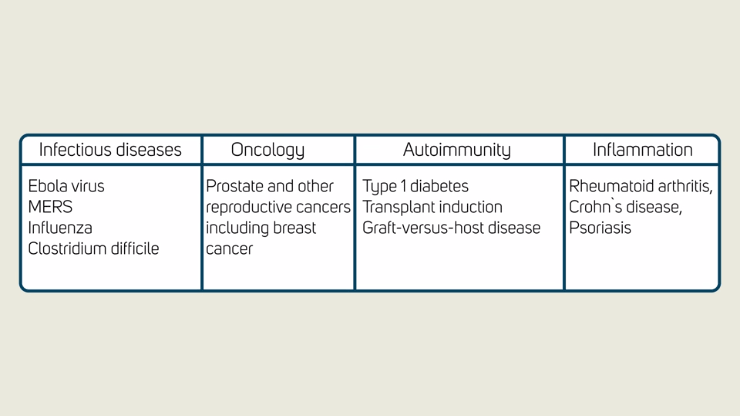 The target audience will be investors, collaborators, and other large biotechnology companies. 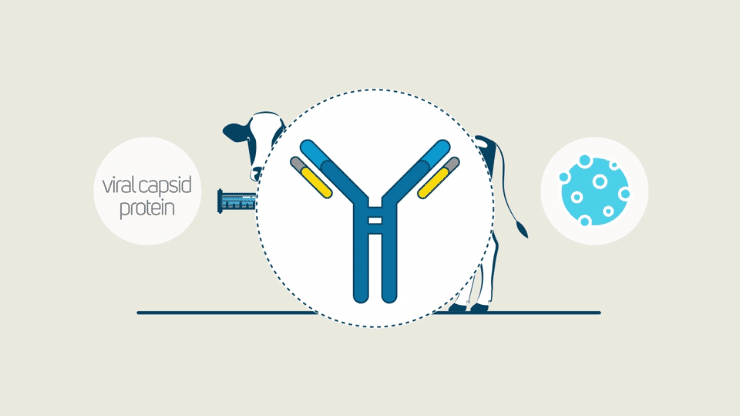 The goal of the video will be to attract interest in the therapeutic use of human polyclonal antibodies and the bovine production platform. 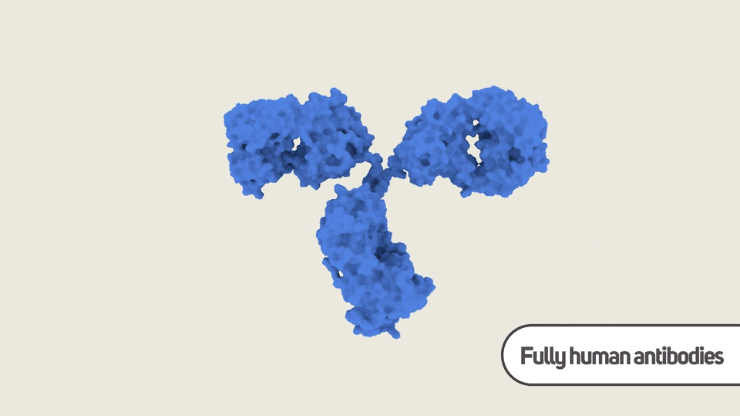 It’s not often realized that there are far more polyclonal antibody products on the market than monoclonal. 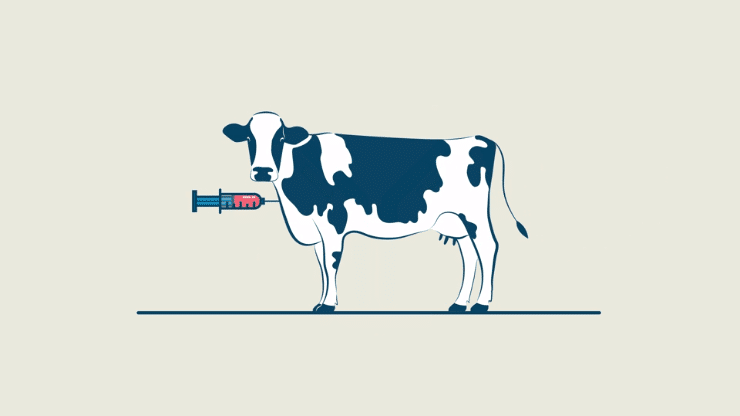 SAB Biotherapeutics owns all the IP for producing fully human antibodies in cows. 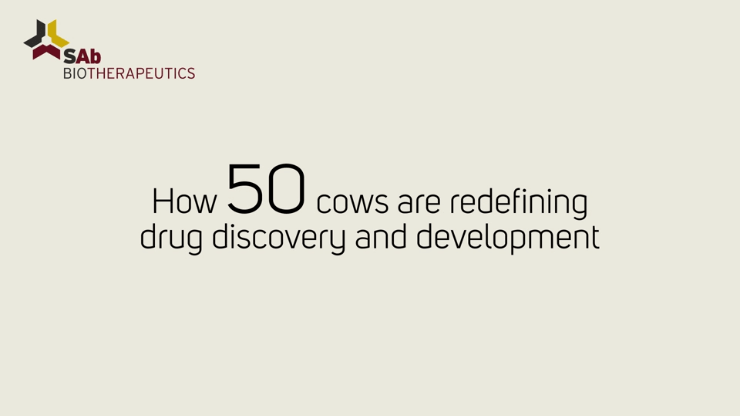 Biotherapeutics currently owns 50 cows and therefore has a large production capability. 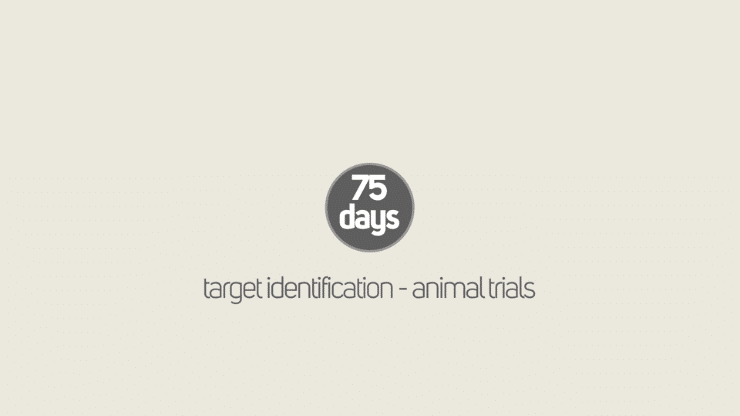 Only 75 days from target identification to animal trials? 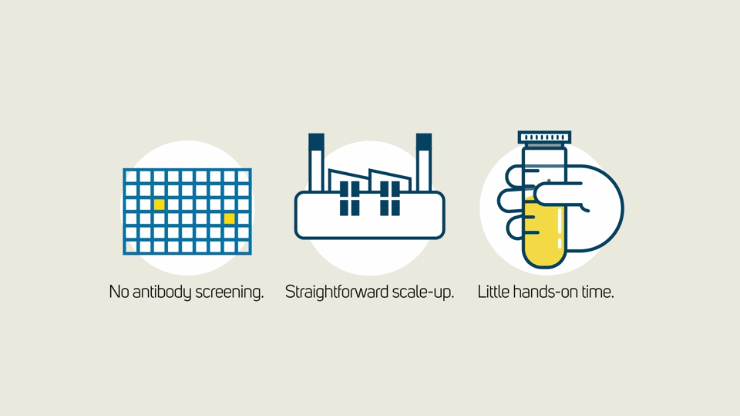 No antibody screening, straightforward scale-up, and little hands-on time. 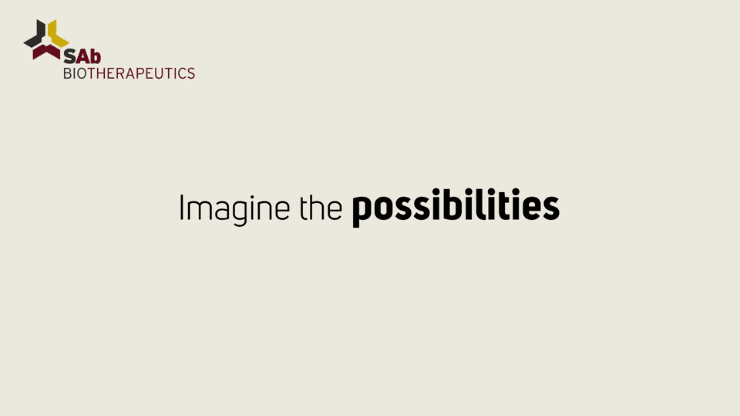 This is the vision that the team at SAb Biotherapeutics has already turned into a reality. 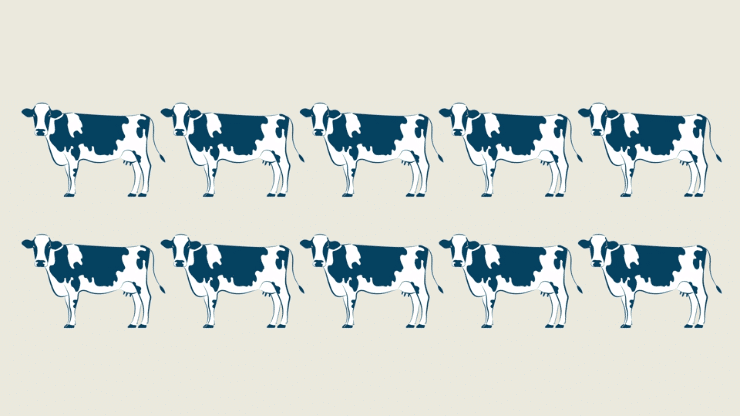 And it's all thanks to a small herd of cows that has been engineered to produce fully human antibodies. 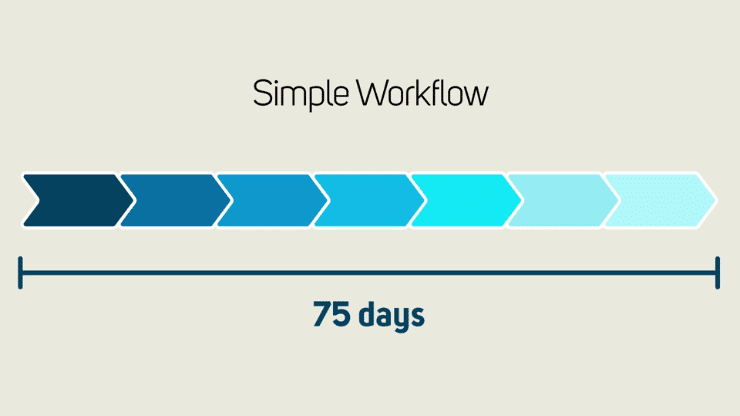 The workflow is simple and can be completed in as little as 75 days. 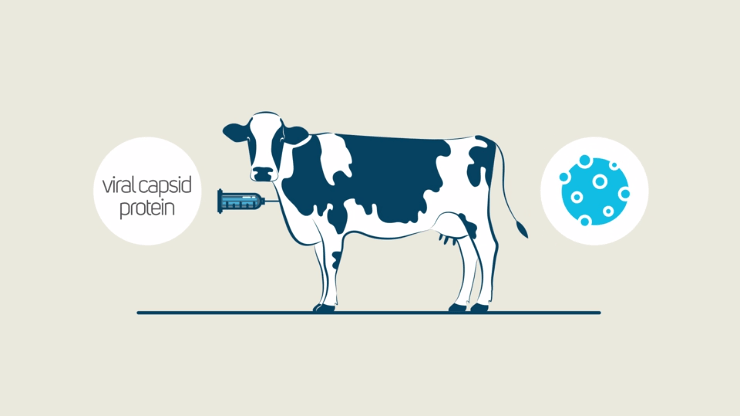 Step 1: Inoculate the cows with the potential drug target, such as viral capsid protein or tumor antigen. 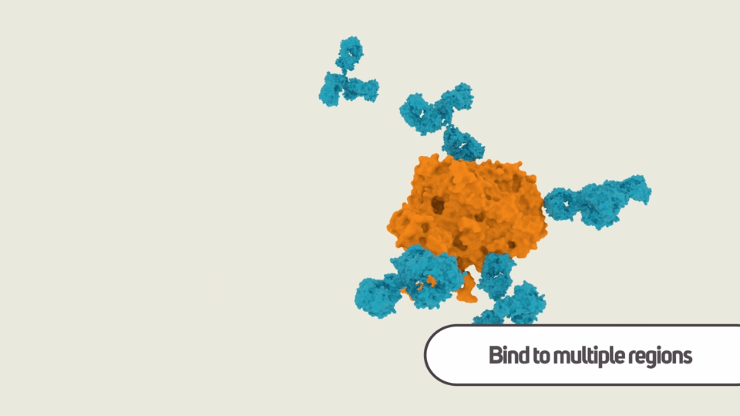 Step 2: Wait for their engineered immune system to start developing antibodies to the target. 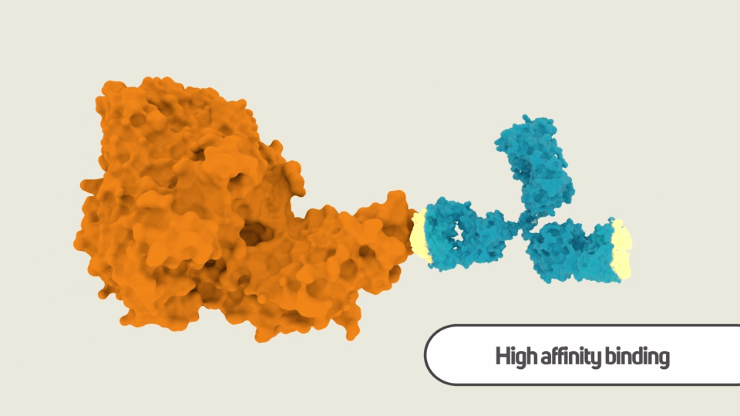 Step 4: Purify the polyclonal antibodies. 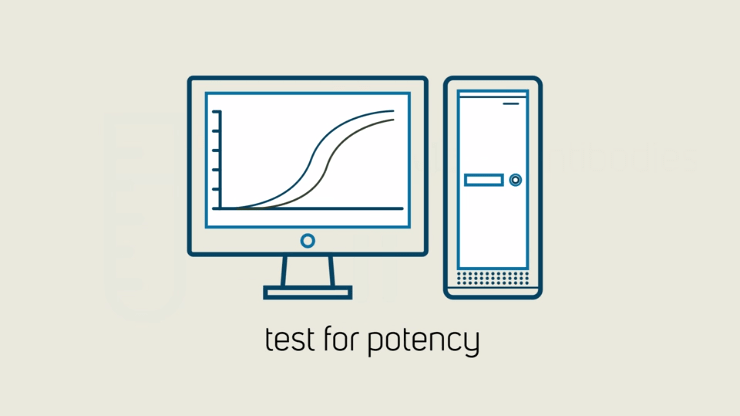 Step 5: Test for potency. 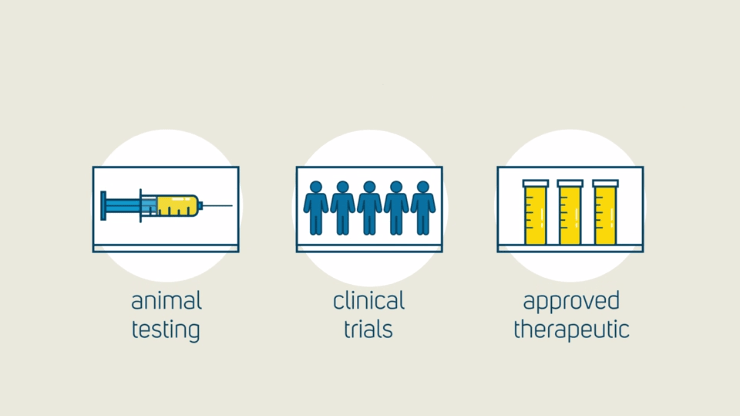 Animal testing, clinical trials, or as approved therapeutic. 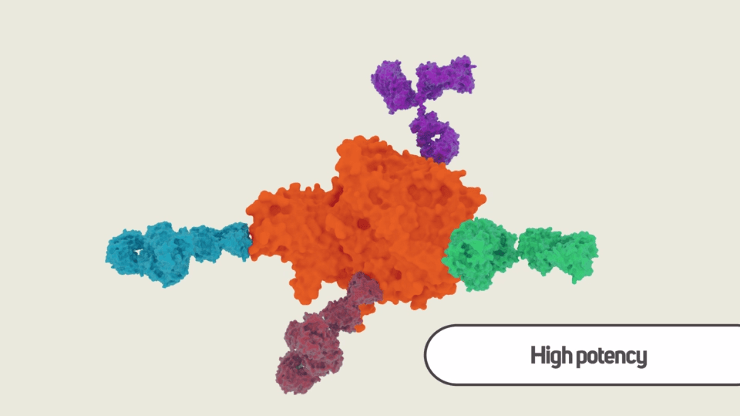 Polyclonal antibodies are an excellent therapeutic choice for indications such as infectious diseases, oncology, autoimmunity, and inflammation. 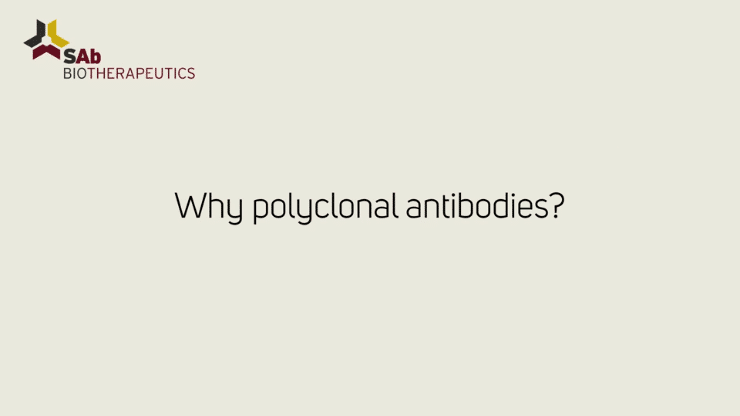 The power of polyclonal antibodies lies in their broad multi-component activity. 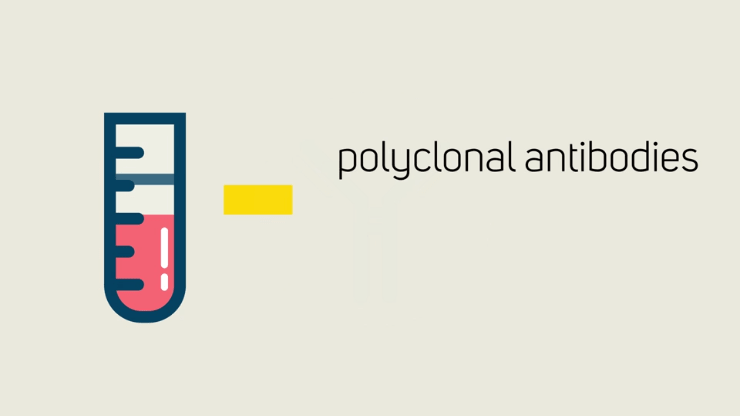 Polyclonal preparations consist of a mixture of antibodies that bind to different areas on the antigen at both high and low affinities. 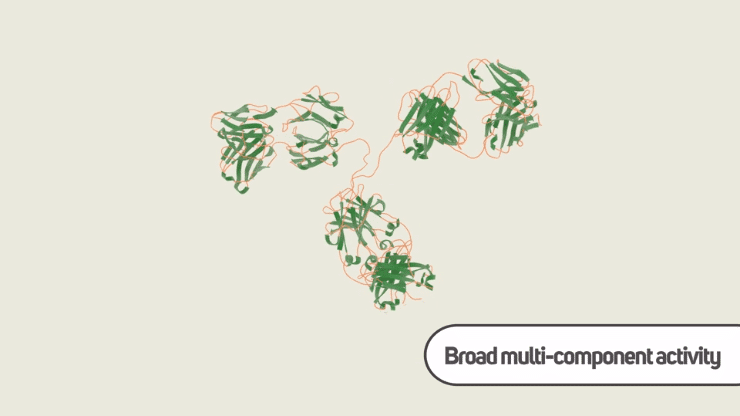 Adding together all the high and low affinity binding in the preparation leads to high potency. 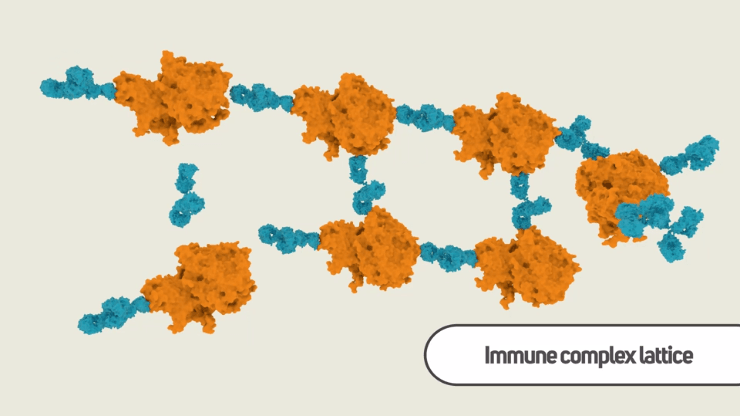 They are able to form an immune complex lattice, which monoclonal antibodies cannot. 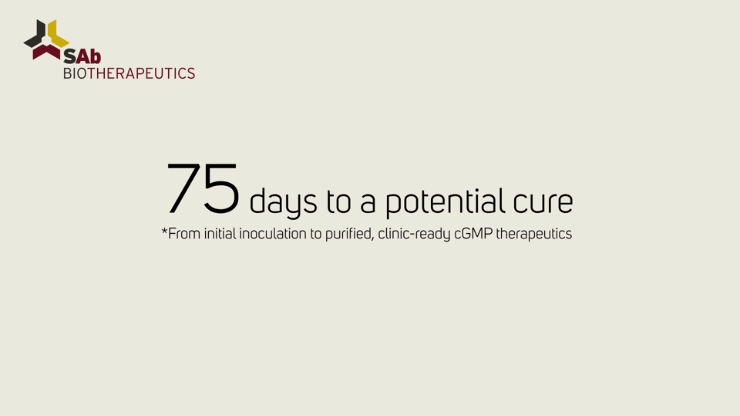 Phagocytes, again increasing the potency of polyclonal preparations. 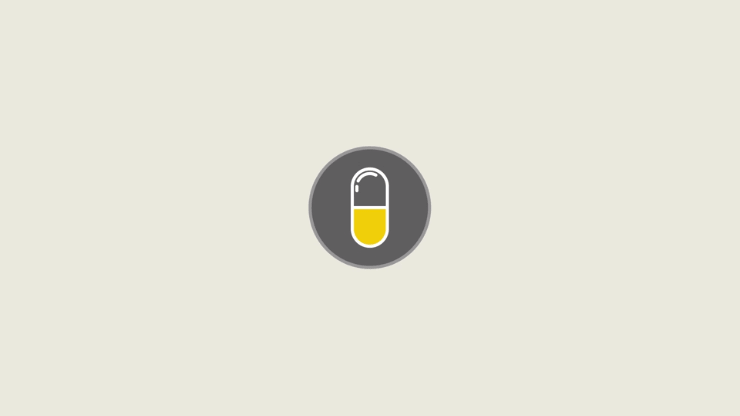 The risk of adverse effects. 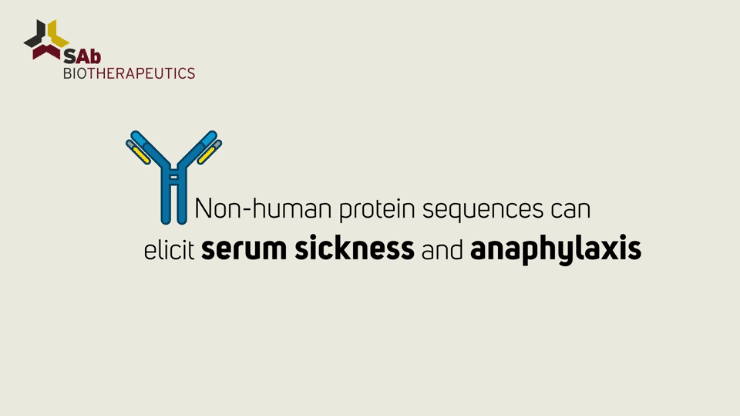 Many are intact antibodies, and their non-human protein sequences can elicit serum sickness and anaphylaxis. 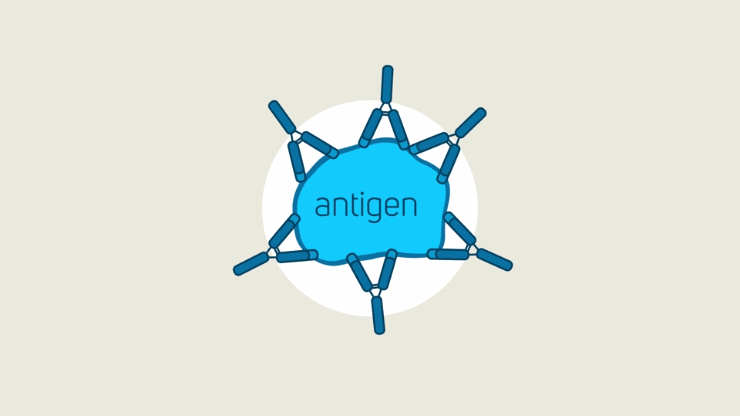 By producing fully human antibodies, bringing the power of polyclonal antibodies to life. Ten cows. 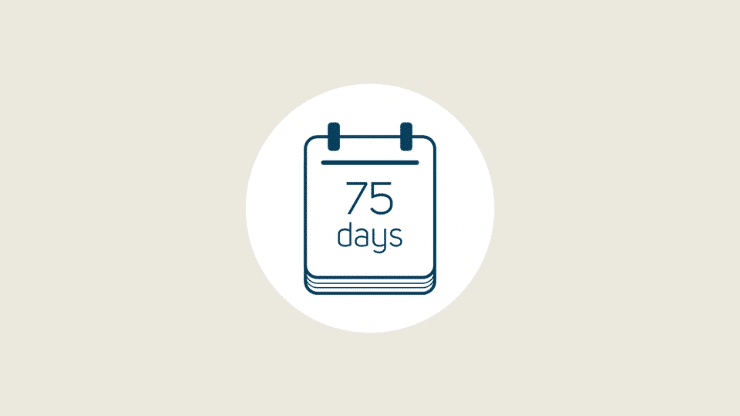 75 days. 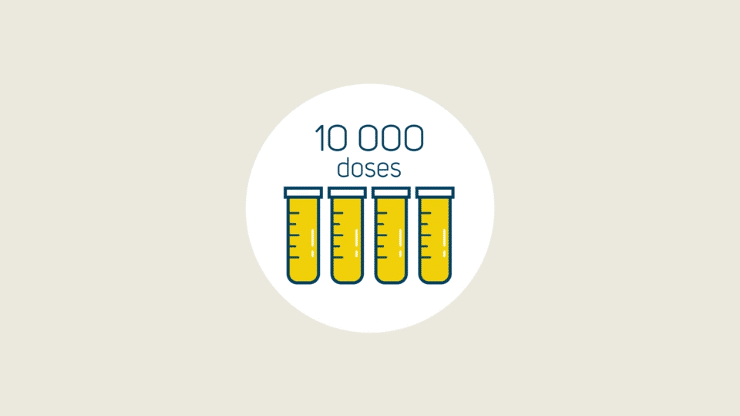 Tens of thousands of doses of potent, clinic-ready, fully human therapeutic antibody. 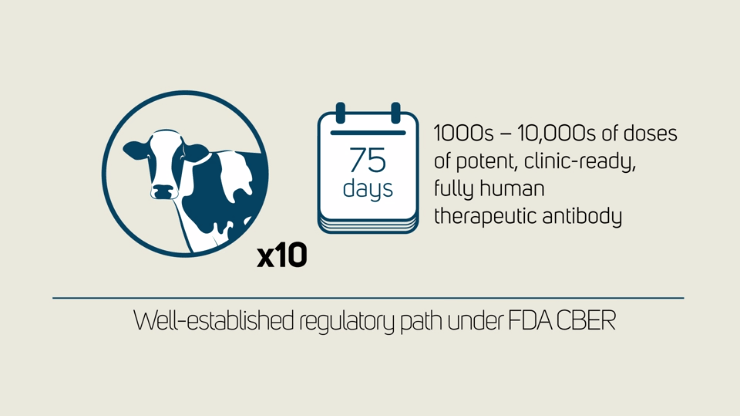 With a well-established regulatory path under FDA CBER. 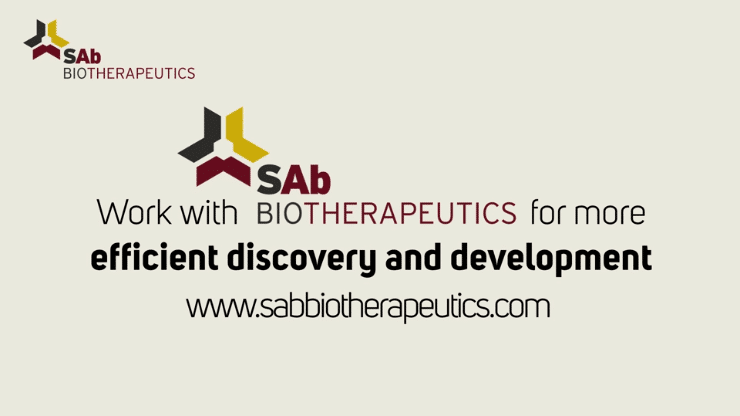 Work with SAb Biotherapeutics for more efficient discovery and development.